The horticulture sector is more than ever subject to forces that change the fundamentals of how companies operate in the industry. Constantly monitoring changes and tailoring the market position is of vital importance to safeguard continuity. These dynamics impact all parts of the value chain. We spoke to Werner Krott about changing dynamics and the recent merger of Floré Group’s growing activities with those of a competitor. “Though current changes in our industry may have limited impact on the financial performance of companies in the short-run, the future of a company in the mid to long-run is determined by the actions taken today. I believe it is not the strongest companies that survive, nor the most intelligent, but the ones most capable of adjusting themselves to a changing environment. At Floré Group, we are constantly considering what our markets could look like in 10 years from now. By anticipating on long-term market developments, we can determine which market position and key competences are necessary to stay among the leading companies in our industry. We are actively working on adjusting and strengthening our organization. One of our divisions was ID’Flor, an azalea grower and forcer. In recent years the azalea market has been characterized by overcapacity. We decided to make a bold move based on low margins, changing market fundamentals, the benefits of economies of scale and increased technology and sustainability standards. With the increased transparency in the value chain, only parties that truly add value are granted a proper margin. We wanted to innovate our business proposition together with our suppliers, clients and competitors. After considering several options, we decided to merge our azalea activities with those of a competitor, De Bruyne – Flandresse, into a newly formed company called FlorAmor. The transaction was finalized in June 2018. The newly formed company has put us in a favorable position again and we are already generating the benefits. We are now a one-stop-shop that can supply all types of azalea’s and in all seasons. Furthermore, because of our scale, we can optimize logistics and operational processes, invest in automation, boost our marketing and innovation efforts, professionalize our customer service and fulfill XXL-orders. Floré Group is a family-owned company that is mainly active in potted plants. 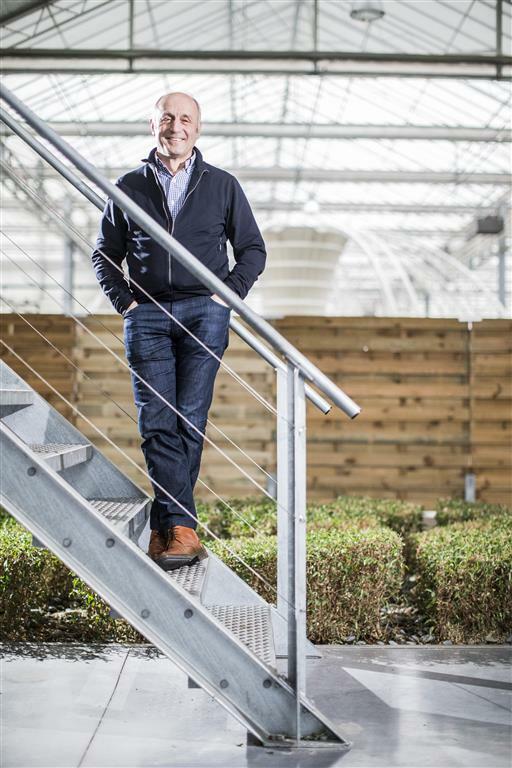 With EUR 125m turnover and 550 employees, Floré Group leads the Belgian market and is one of Europe’s prominent horticultural groups. The company operates several divisions, which are active in almost all parts of the value chain, including breeding, propagation, acclimatization, growing, forcing and trading. Floré Group has, over the years, regularly reinvented itself in terms of its activities and its market position. Werner Krott (64) has been CEO/Managing Director of Floré Group since 2007 and holds several non-executive board positions at other companies. He has broad experience in various sectors, including horticulture, aquaculture, building materials, food and oil. Mr. Krott holds a master’s in civil engineering. There are two other significant advantages. First of all, we are now more capable of retaining and attracting talent. Many young and higher-educated people are ambitious and prefer to work at a firm with a clear strategy that is geared to improving an industry. With our business being a people’s business, I believe that our best-in-class team will put us further ahead of the competition. Secondly, sustainable operations are becoming an order qualifier instead of an order winner. With our newly gained scale, we are innovating in order to be the most sustainable company in our field — a position which is underpinned by quality assurance policies and certificates, such as MPS, which are hardly affordable for companies with limited scale.